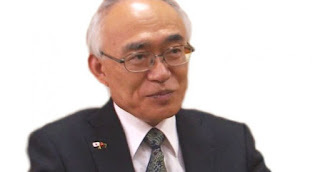 The government of Japan has once again come onboard to assist the people of Papua New Guinea with funding by signing four grant contracts recently. The water supply and classroom building contract was signed by Japan’s Ambassador Satoshi Nakajima to have these built at Hohola Demonstration Primary School in NCD, Akuna Primary School in Eastern Highlands, Nunga Primary School in Western Highlands and Kokopo Vunamami Urban LLG in East New Britain Province. The Government of Japan extended a total amount of about US$241,000 (K742,000) to each organisation through the Grant Assistance for Grassroots Human Security Projects under Japan’s Official Development Assistance Programme. The funding assistance will see Hohola, Akuna and Nunga Primary Schools increase the number of classrooms to cater to the growth in enrollment of students as well provide a learning and teaching environment for both students and teacher.